For the salons that want to promote a serious professional approach to spray tanning. 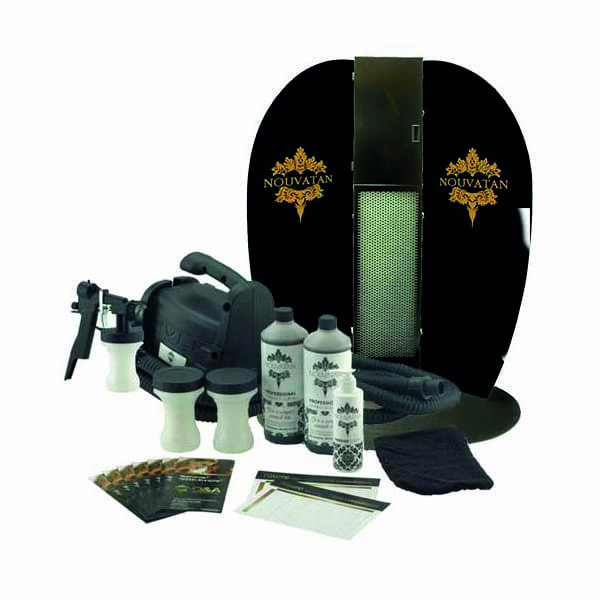 This full kit will enhance any salon with all you need to promote Nouvatan. For the larger or busy Salon, offering a robust and stylish solution for your spray-tanning service, This Nouvatan Extraction Booth ( S1000) is everything you’d expect. Available with Black or Grey side panels and your own logo.